Last edited by Emerald Flame on Tue Mar 13, 2012 12:01 pm, edited 3 times in total. This is a character concept that I was introduced to in the Percy Jackson series of books. 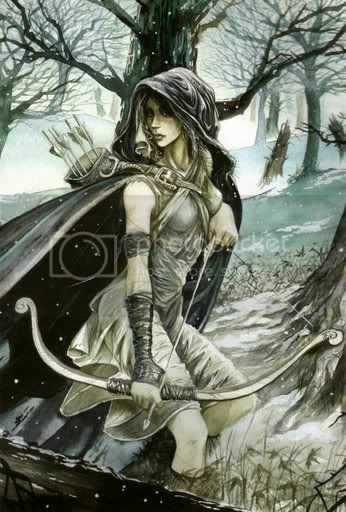 Basically, Ageless hunter maidens that are blessed by Artemis, the Greek Goddess of the Hunt. I always thought the idea was pretty cool.... so..... Here we are. I am trying to branch out and build something other than a power-suit. 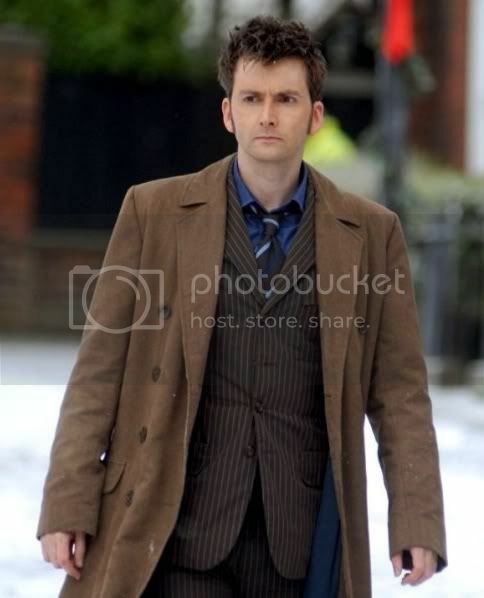 Last edited by Emerald Flame on Fri Jan 20, 2012 9:13 pm, edited 3 times in total. I like that Ankylosarur armor EF. 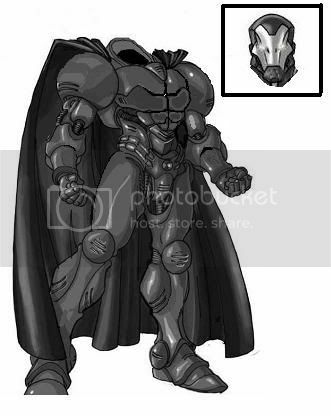 And the Thunderbird armor idea is cool, but man, that movie was NOT. It blew, I couldn't even make it through the first half hour. 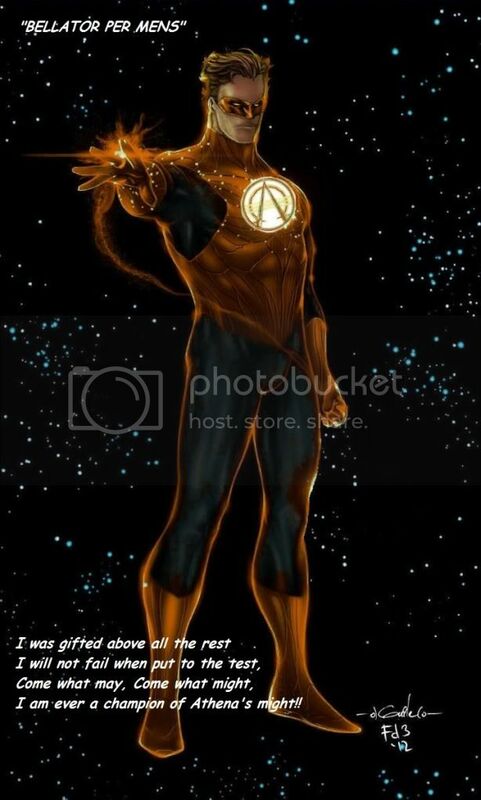 Thorpacolypse wrote: I like that Ankylosarur armor EF. 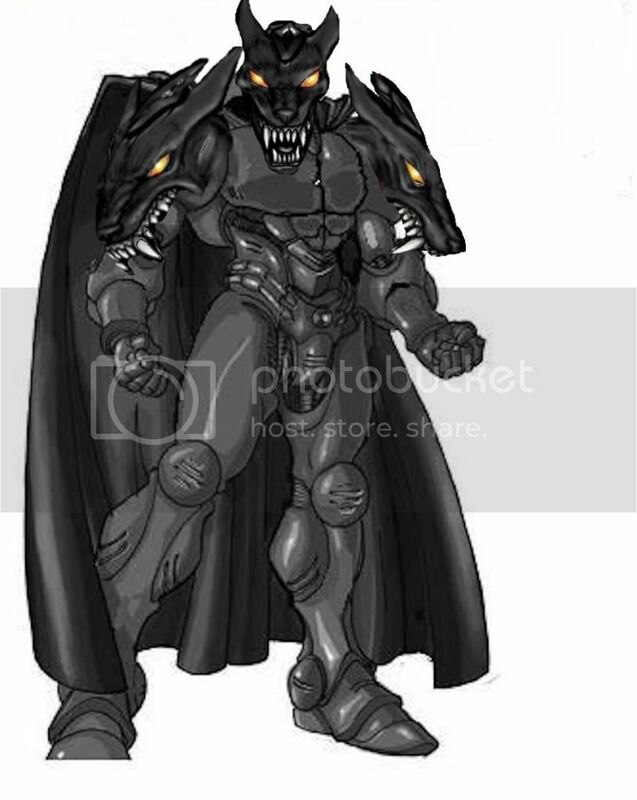 Thorpacolypse wrote: And the Thunderbird armor idea is cool, but man, that movie was NOT. It blew, I couldn't even make it through the first half hour. Thunderbirds.... Yeah.. that movie sucked. I am still planning on returning to do the T-Bird suits, but right now, I am starting to finalize the stuff I need to start a new campaign. Once it gets started, I will go back and flesh out the suits. 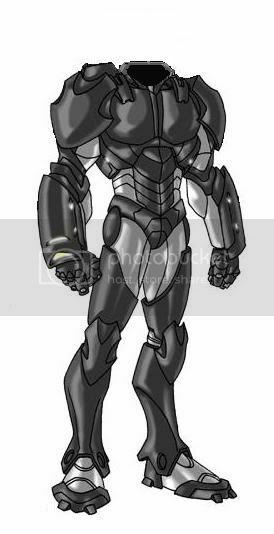 I think TB2 is going to be more of a Mecha than a suit though. * Motivation: Thrills: Being a hero gives Jason a feeling of "being alive"
Here is a pic of SPARTAN. The piece is a commission from Synaptron. I have to say that he caught the exact feel of the armor that I was hoping for. "And there, a dread sight even for gods to see, was Cerberus ... a hideous monster, warder of the Gate of Haides, home of Wailing, jailer-hound of dead folk in the shadowy Gulf of Doom. " This is an idea spawned from my groups forth-coming campaign/game. We are borrowing a page from the Percy Jackson novels and creating a team of characters that are "demi-gods". We are taking it one step further and crafting them after the "Big Three"... Zeus, Poseidon and Hades. In honor of this day of romance.... 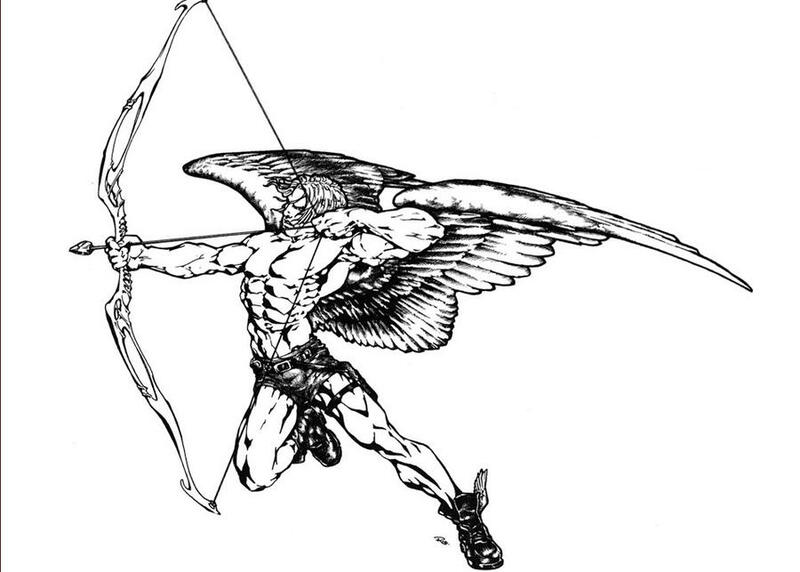 I present Eros... aka... Cupid. A very nice V-Day build, EF. The character image fits wonderfully and I have to credit Spiderguile for the original piece. "special" and now he has the tools and the knowledge to live up to his potential. functions, but a trust fund set up by their father provides him with a very comfortable life. spend most of their lives traveling the world. Carter was young. Carter would eventually take over the business when his father retired. This is a character concept that has developed over a period of time. Ironically enough, this idea developed from an Iron Man-esque build that I made. In our current campaign, the characters are all the children of one of the Greek gods. (Heavily influenced by the Percy Jackson series... although not the same setting) This character (mine) is the child of Athena, while we also have a son of Zeus, a son of Poseidon and a son of Hephaestus. It is loosely based on the Green Lantern power-set, with some tweaks hear and there. A big tweak is to remove the space flight ability. I also want to play with the 'Force Constructs' a little. I can see him calling forth a energy centurion to aid in battle. I built it around the premise that Athena is known by multiple different names and was thought to be in the fore-front of battle.. HOWEVER... she uses her intelligence to fight a battle, unlike her brother Ares, who is more about brute strength and blood-shed. Athena is also credited with battle strategy and invention. The ring is based on Intelligence rather than Willpower. The wearer focuses on an item and "thinks" the item into existence. His 'force field' looks like a suit of Spartan Armor. The wearer can shoot blasts of energy and such. The Athenian Ring of Crafting is bestowed upon a mortal who is favored by the god. The ring produces a costume of Celestial Bronze that provides protection and life-support functions. The ring also gives the wearer the ability to wield a small fraction of the power of 'creation' that is powered from the the heart of Olympus. 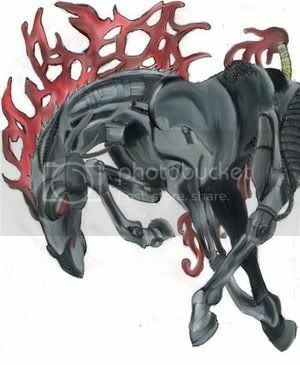 Last edited by Emerald Flame on Thu Mar 29, 2012 3:08 pm, edited 7 times in total. I like this idea, look forward to seeing more! I reorganized some of the Index page... I wanted to bring the characters that I am using together. 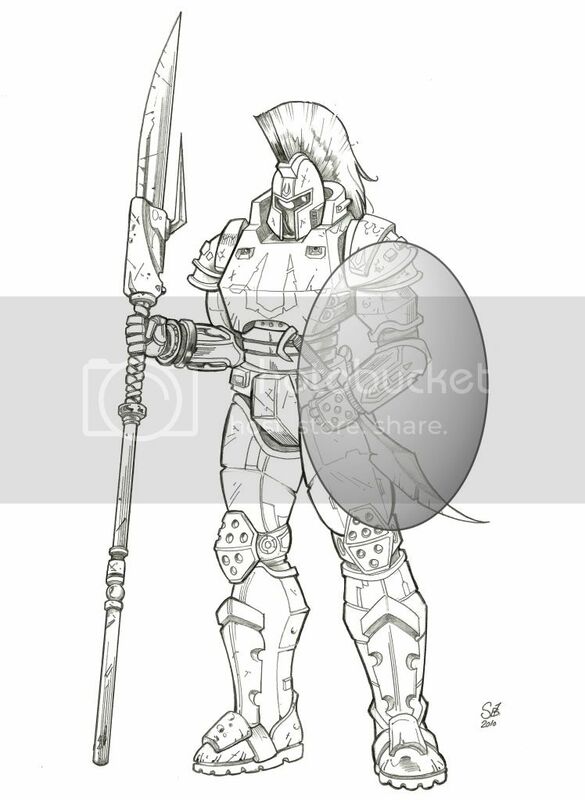 I also posted the stats for Spartan: Athenian Guardian. so enjoy. Prejudice: She suffers from mystical lycanthrope. Whenever anybody finds out, they immediately attach all the classic stereotypes that have been shown in movies. 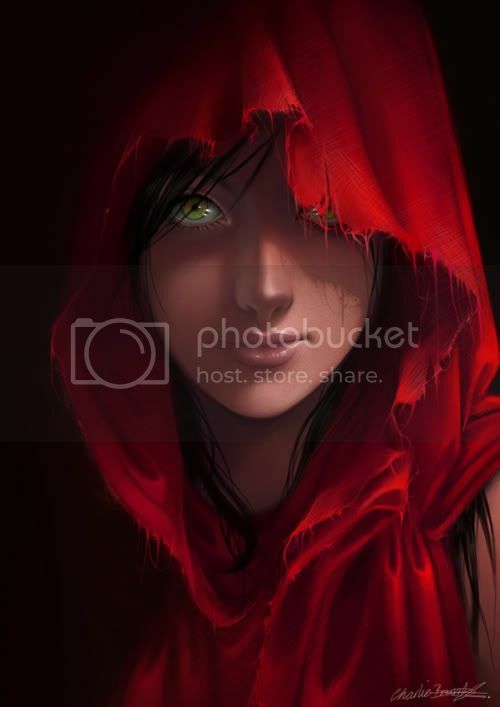 Secret: Red is the latest in a long line of young women who suffer the "Curse of the Wolf". Stephanie "Red" Lazar is the latest in a long line of women that have been cursed with a unique illness... mystical-lycanthrope. It is an illness that originated in a small village in French Village in the 15th Century. In France between 1520 and 1630, it is estimated that approximately 30,000 people were identified as werewolves. These "werewolves" were subjugated to horrific interrogation / torture. Whether they confess or not, most of them died at the stake. During these "Werewolf Trials", Stephanie's ancestor was a judge that ruled over the trials. He was responsible for condemning many innocent people to their deaths. One of these victim's mother was a witch. As she watched her son burn to death, she cursed his wife with the same mallody that he had accused all the innocent people of. Eventually, he was forced to have his wife put to death. The witch went further to curse ALL the women of his bloodline. 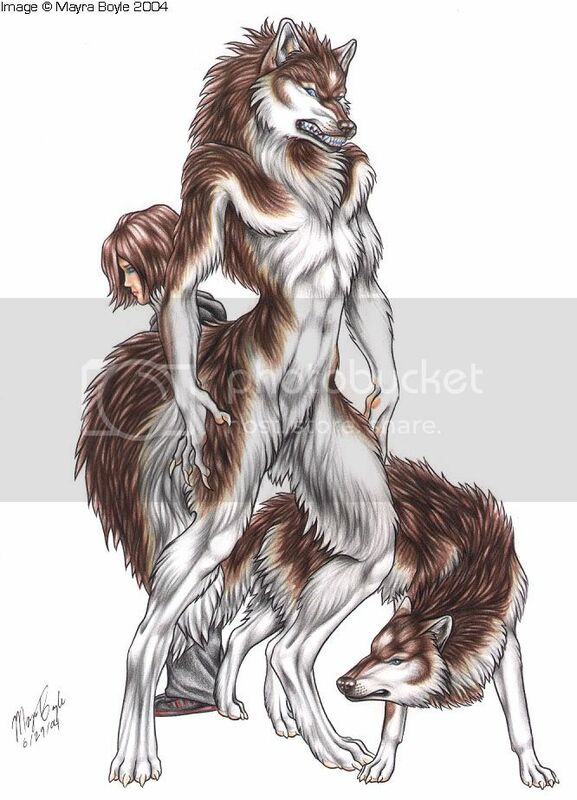 This form of lycanthrope is mystical in nature and passes to the females of the bloodline when they reach puberty. Because this lycanthrope is mystically "targeted" to their bloodline, it cannot be passed to others through their bite. Stephanie's family was wealthy and their money enabled the family secret to remain buried. She had private tutors and she enjoyed a protected life. She eventually started feeling that she was trapped in her life so one night, she slipped away. She now travels the world enjoying her life. Her wolfen-abilites have saved her on more than one occasion. She now embraces her abilities and uses them to help other people... She has now assumed the title of protector. I was discussing the build for Spartan and the fact that there is a rather complex build of arrays and options.. I was hoping that I could reach out to the members of the ATT and get some feedback. It IS a complex build and maybe I crammed too much into it... Let me know what you think. I was looking at expanding my character log and a silly little idea popped into my head. While researching Athena, I read about how Ares is considered the embodiment of the rage and blood-shedding on the field of battle. Where Athena is the embodiment of strategy and using the mind to win battles. 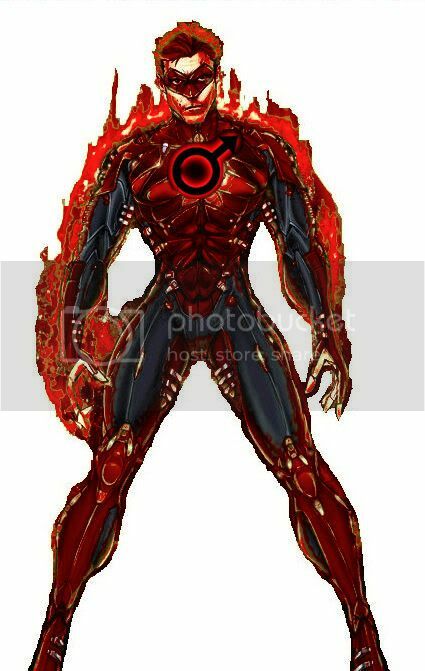 Ares is the embodiment of the violent aspects of war. I thought of Ares having his own ringed warriors.... Hmmm.... Sound familiar?